Morkie is one adorable toy dog that anyone would love to own. His friendly personality has charmed the hearts of many, and he continues to be a lovable member in every new home he visits. On the other side, he can be quite needy and demands plenty of your attention. Morkie is a toy breed that is sometimes referred to as Yorktese or Maltese Yorkie. However, we will run with Morkie because it sounds cute just like the little fellow. How much does Morkie cost? Morkie is a rare toy breed and is not yet registered with the American Kennel Club. He is a descendant of the Maltese and the Yorkshire Terrier. To best understand this little fellow, you have to go back in history to when his parents first existed. Yorkshire Terrier was birthed in Scotland in the late 18th century. This type of breed descended from the active Clydesdale Terrier, bred to keep rodents from mills, and the local Scottish Terrier. Just like his parents, the Yorkie grew to become very brave, witty, and confident about himself. He loved to keep the company of Scottish workers in the mills and farms. Later, Scottish workers brought the Yorkie Terrier to America which was further bred by American locals. The Maltese were equally documented in the late 18th century in America. Records say that this particular breed first existed in Malta and was adored by Greeks, Romans, and Egyptians of high background. 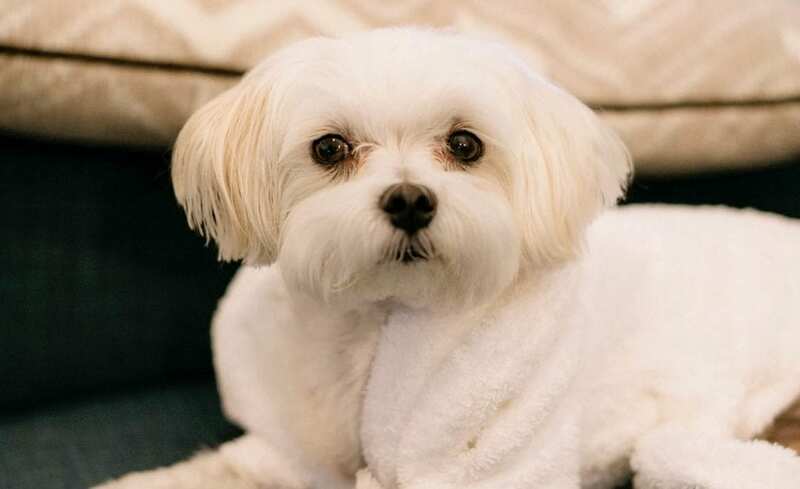 Maltese dogs are known to be very energetic and affectionate toward humans. They also don’t mind the occasional belly rubs or whispering sweet nothings into their furry ears. All Morkies have one thing in common; they are cute! 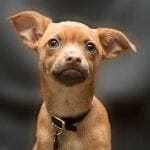 One look at the little fellow and he has your heart melting and yearning to adopt him. Morkies spot a long-stranded furry coat whose color will depend on which parent they take after the most. If he takes after the Yorkie, then he is likely to have shades of brown, black, or tan. On the other hand, a Morkie pup that has stronger Maltese genes will be white or cream. 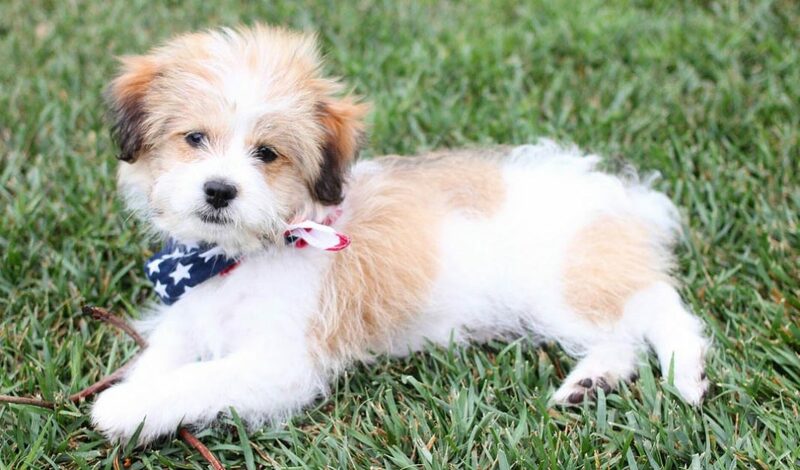 However, there is no exact formula to determine the appearance of the Morkie when he grows up. He may look like a Yorkie when tiny but grows to appear more like a Maltese. Furthermore, colors will vary among Morkies birthed by the same parents. Also, the Morkie is tiny in appearance. So small you can fit him into a handbag and go with him to work. He is straightforward to miss when he curls into a furry ball on your couch. So it would help if you always were aware of his whereabouts for his safety and your peace of mind. Morkies grow to a height of 6 to 10 inches from the shoulder. His little body weighs 4 to 8 pounds. If he is an avid eater, then he can weigh as much as 12 pounds. However, don’t let his small body fool you, Morkie feels like a Labrador stuck inside a toy breed body. Full grown Morkies live between 10 to 13 years. In his lifetime, he will always show his affection and eagerness to please. 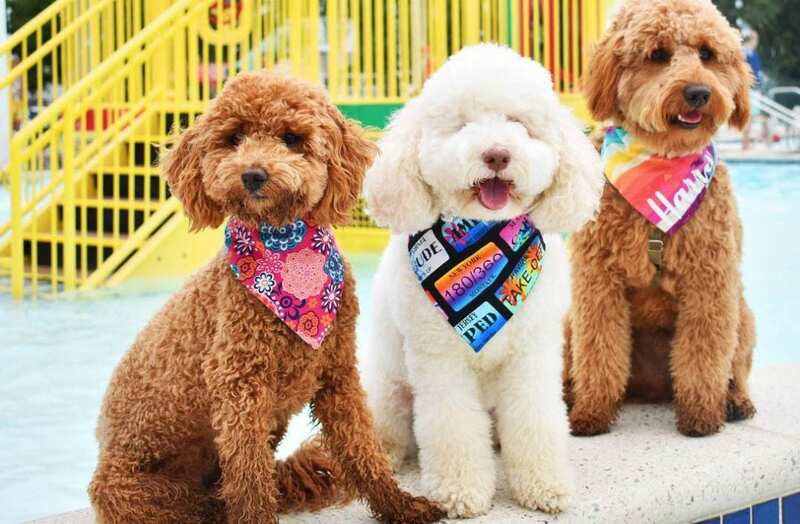 As a Teddy bear dog breed, he will also come with many responsibilities. Before adopting him, ensure you can meet all his needs for the said years. 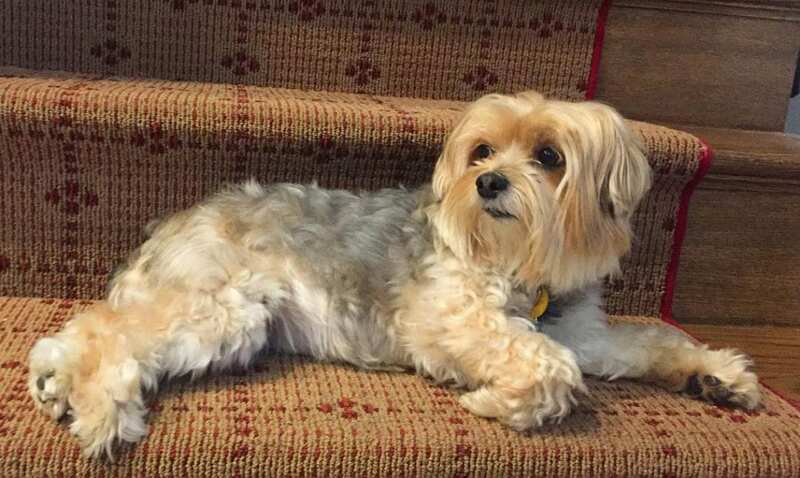 Morkie has a personality that leaves a big impression on everyone he meets. You will want to cuddle his tiny fluffy body and indulge him any chance you get. Morkies derive their amazing personality from both parents, the Maltese and Yorkie. He is a natural charmer with a heart for everyone. He will win you over even if you are not a dog person. Morkie will curl up beside you, or on your lap, as you watch your favorite show. He is happy to accompany you to walks or go and play in the park. Another trait you will notice about him is how much he craves attention. He always wants to be the highlight in the family and will work up a fete if ignored. Be ready to accommodate his neediness as it comes with all that cute. Morkie dogs are also naturally smart. They are good with faces and will remember someone they met a week ago right away. Also, the little guy is very curious and inquisitive always wants to explore every nook and cranny he finds. One more thing, he can be stubborn because he likes to do things his way. Morkie’s tiny body is quite an advantage when it comes to adapting to any living arrangement. He has been voted as one of the best toy breeds suitable for single people or adults with families. Morkie puppy will also make great company to seniors enjoying their retirement years. Teacup Morkie is excellent with children. They love to join them during playtime at the park or when building sandcastles by the beach. However, you do not want to leave this little fellow with any child below five years. Small children do not understand how fragile he is and may end up hurting him. 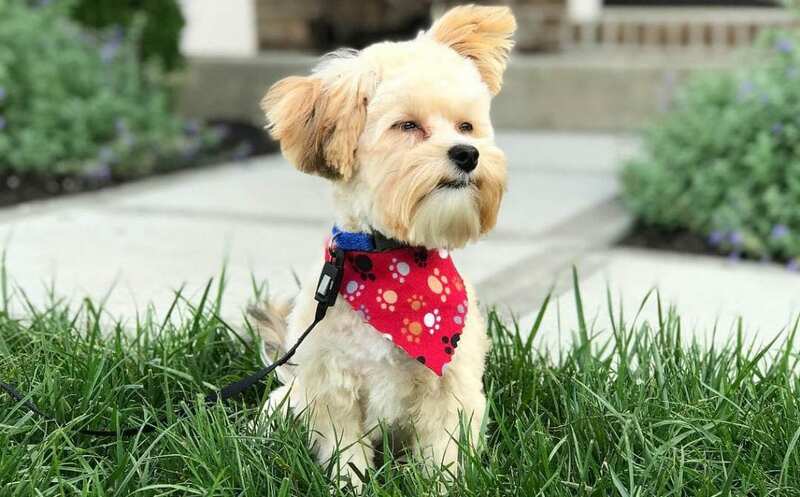 On the other hand, Morkies can also get a little jealous over attention and can bite your innocent toddler because he is stealing all the attention. If you are single and live in an apartment complex, a Yorkie Mix would be a great house buddy. Just find him a corner in your house and dump all his toys there. That should keep him busy while you work at home or go out for errands. 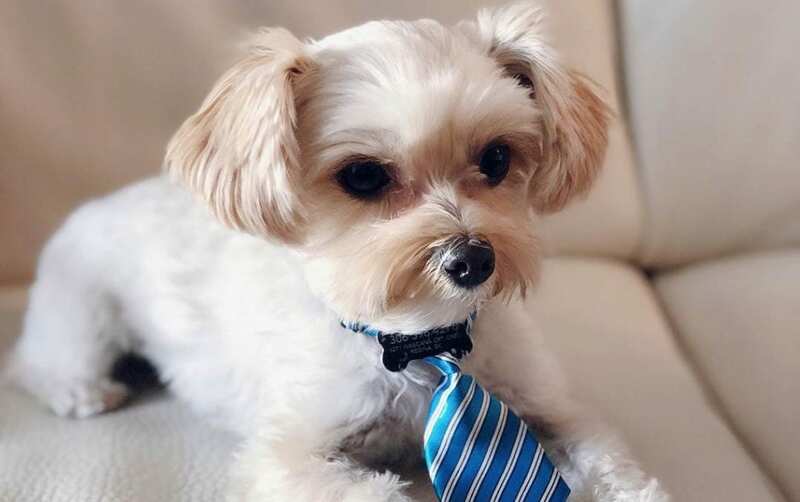 If you work in an organization that is pet-friendly, you can always take the little guy to work with you. Morkies do not mind being the new additions to a family either. A plus would be a family that has its backyard where the little Morkie can indulge his crazy imaginations. When he is not playing with the kids, he will be busy exploring the perimeter fence or lazing around on the grass. He recognizes people first and loves to explore new spaces. That says the Morkie is a really smart little guy. One other way to notice his intelligence is when teaching him new tricks. As a descendant of Yorkshire, he is a natural hunter and will put these skills to good use when exploring. His parent the Yorkie was a rodent hunter, and this is where the Maltase Mix gets its alertness from. He may not make a great guard dog, but he will always alert you whenever there is an intruder. However, you also need to know that Teacup Morkie is an incessant barker. He loves to bark at every sound or any moving object in his sight. So train him to use his bark only when its necessary. If you have toddlers in the house, then perhaps he is not the best dog to get because of the barking. Morkie is always eager to please his master, so he never fails to show up for class when needed. One problem though, he is very strong-willed and wants to do things his way. So you may not always see things eye to eye with him. Morkies are one of the easiest designer breeds you can train. They learn and retain information fast even as they age. Lay the foundation early by training your Morkies when they are small puppies. The younger they are, the quicker they learn as well as mold them into well-behaved adult dogs. The only issue with training a Maltese Yorkie Mix is that he can get stubborn. Remember he likes doing things his way and can stand his ground even when you do not want him to. So training will require much patience and carried out in sections. Start training the Morkie early in the day when his energies are at a peak. Try and focus on one trick until he has learned it. Do not expect him to carry through with the training longer than he wants to. A few minutes in and he will stop paying attention to you and more to his favorite toy. When he does this, leave him alone and start training him again later. Alternatively, you could bribe him with praises and treats to get him to do anything you want. Make sure you have his favorite treat on the next training session. For every trick he masters, reward him with a treat and lots of praises. This technique can keep him interested longer and teach him lots of tricks in a short period. Never use harsh words or scold him when he does not do what you want him to do. Morkies have a very delicate ego that can easily be bruised by harsh words. Being too strict will do nothing but scare him out of doing anything you want. Morkies descend from the Maltese which is an energetic breed. So you can expect your little Morkie fellow to come with loads of pent-up energy in him. He needs all the exercise he can get to expel this excess energy. Play-time is an essential part of a growing Morkie. Ensure you take him with you to morning or evening walks. Take him out to the park to play with other dogs or children. Let him tag along to campsites or a stroll by the beach. Let him splash in the pool or run after his favorite toy on the backyard grass. 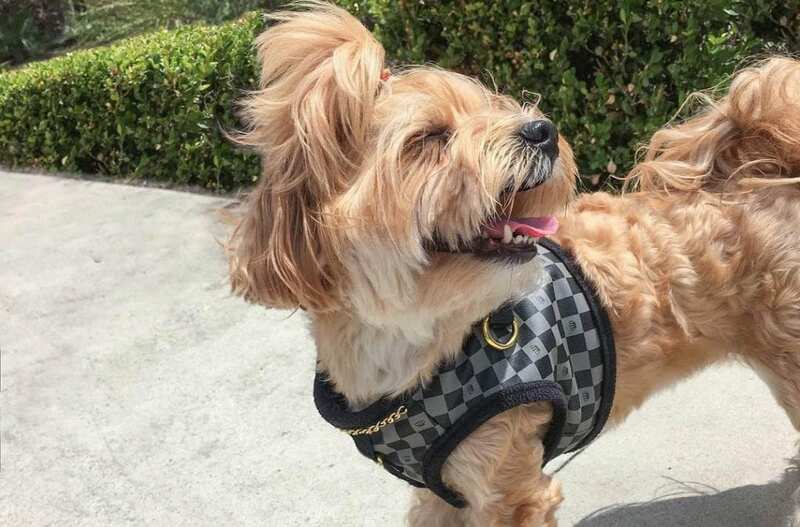 Exercises should be done every day otherwise your Maltese Yorkie Mix will grow cranky. If he is not utilizing his energy as he should, he can become a destructive behavior that causes him to ruin things around the home or even bring harm to himself. The best thing about owning a Morkie is that he does not require much space for play. The backyard in your suburban home is enough playing ground. If you live in an apartment, he needs a tiny corner laden with his toys, and he will be fine. Morkies are prone to health issues if fed wet foods frequently. Only feed your Morkie high-quality kibble each day. About a three-quarter cup of quality kibble is enough to fuel him through the day. Divide the meal into two or three portions a day for control. Take note that Morkies can work up an appetite. The little fellow can easily overindulge if his portions are not monitored. Besides rationing his meals into three parts, also limit how much you treats give him a day. Never lay any food lying around if you own a Morkie, he can quickly down a bag of chips if you are not looking. Toy breeds rarely get sick because they have mixed genes from two different purebred parents. However, your Morkie may still be predisposed to some health issues that affect his physiology. Morkie’s tiny body makes him vulnerable to severe injuries from massive impacts. He can easily break a limb if he falls from a high place. It’s easy to forget he is at your heel and step on him accidentally, which can break his limbs as well. 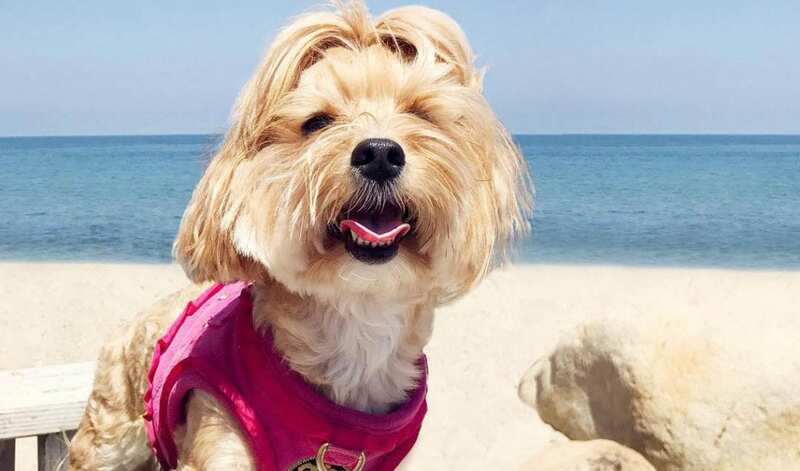 Another common health issues that face toy breeds is hip dysplasia, and the Morkie is no exception. Also, with the many hairs on his face, he can develop infections around the eyes or ears if not well groomed. His ears may develop a bad odor, and his eyes grow teary if an infection kicks in. Ensure his grooming needs are always met. Morkies can develop teeth problems if they feed on wet food a lot. So ensure you feed your Morkie pup dry foods alone. Another hidden health problem that affects Morkie is obesity. It may be hard to see his overweight problem through the thick fluffy fur. However, this designer breed does eat a lot and puts on so much weight. To prevent this, always ration his meals and ensure he gets enough exercise every day. Grooming is an essential part of keeping your Morkie pooch healthy. The long strands on his coat can get entangled or develop pet dander if not brushed regularly. Brushing once or twice a week is enough to keep his coat silky smooth. Baths are necessary too but ensure you do not wash him too frequently. Soapy water can deplete the healthy oils on his skin leaving his coat looking dull. Only wash him thoroughly if he starts to develop a stink or if he walks in the house all covered in mud. Morkie dogs are prone to teeth problems if not cleaned. Always make an appointment to brush the dog’s teeth after the last meal he has. His nails need clipping too to keep them neat and also prevent him from harming himself, a person, or tearing through your Persian upholstery. Fortunately, Morkie is not a heavy-shedder. So you do not have to worry about him leaving mounds of fur on your couch or carpet. He is a perfect dog to gift to someone with pet allergies. The occasional brushing is enough to take care of loose strands. Only when his grooming needs are neglected will Morkie’s coat become allergenic. As cute and adorable the Morkie is, you will have to spend a fortune to own him. All designer breeds are generally expensive to buy. On top of that, Morkie is a rare toy breed that is still in the developing stages to become a purebred. So finding a Maltase Yorkie breeder can be much work and should you find one, the pricing can frighten you. Long story short, expect to spend between $800 and $1,000 to own a Morkie Dog Breed. One other thing to consider is whether you want to own an adult Morkie or buy one when it is still a puppy. 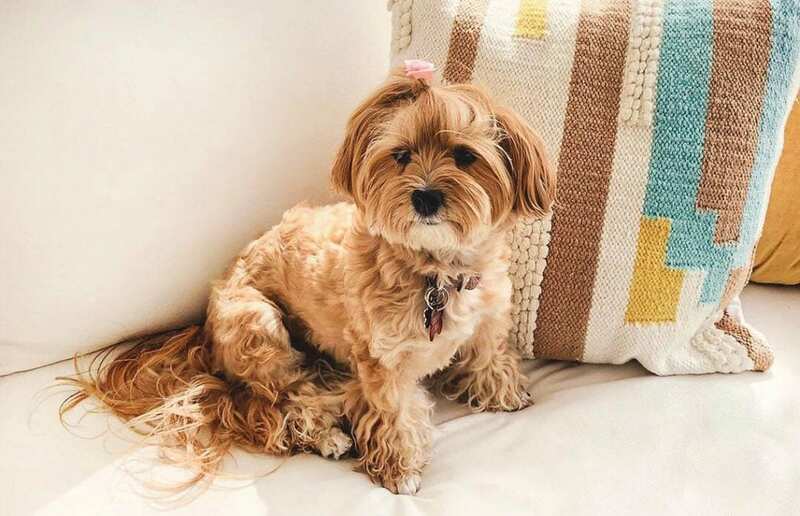 Mature Morkies will be more expensive because the breeder or previous owner bared all the feeding and medical cost required to take care of the dog. As mentioned before, Morkie is a scarce toy breed, so you won’t get those many breeders rearing it. 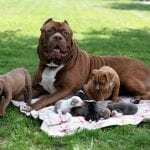 However, should you find a breeder, then you need to ensure you are on the top list of people they would call when a new litter comes in. Being there first gives you ample time to spend with the litter and learn the personality of each dog. Please take note that Morkie breeders would be quite picky about whom they sell their puppies to. Since Morkies are very delicate in nature, the breeder will want to be assured that the dog will be rehomed in a safe place that facilitates their healthy growth. So expect to be questioned on why you want a toy breed Morkie and whether your home has the right conditions to rear one. Also, note every breeder you meet will be experienced with Maltese Yorkie Mix dogs. You want a breeder who understands this toy breed so they can advise you on how to raise one best. They should also have spent time with the litter and learned the personality of each dog. This would help you save time as you do your inspection. One other thing is to request the breeder to let you see the parents of the litter, especially the dam. Learning about the dam’s personality gives you a hint of what to expect in the puppies. Usually, breeders do not allow buyers to come in until the puppies have spent two to three weeks with their mother. This helps the puppies socialize with their mother and draw some of their personality from her. If you cannot afford a pup from a Morkie breeder, your other option is to visit a rescue or animal shelter. 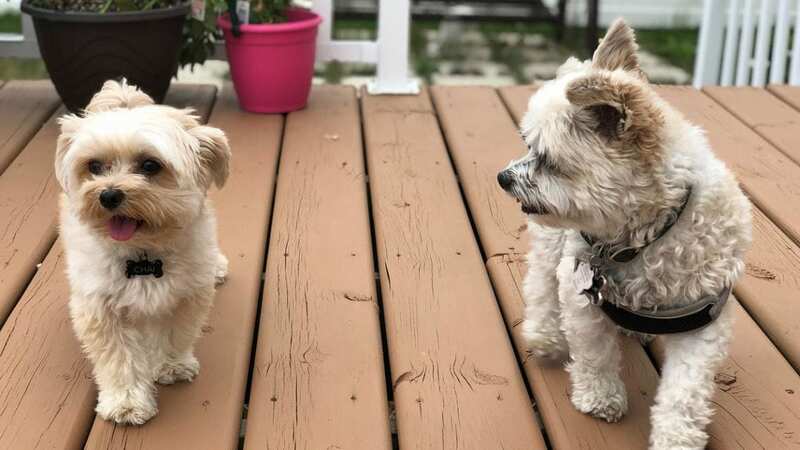 What’s more, it could be easier to find a Morkie rescue shelter than finding a professional breeder. However, there are a few things to know before buying dogs from a shelter. For a fully grown Morkie, you first want to know the history of the dog. If the poor dog came from an abusive home, it means it was not properly socialized to have an attractive personality. Expect to deal with issues such as aggression or the dog may withdraw itself from humans or fellow animals. Owning such a designer breed means you will go through the bulk of undoing the pain the dog was accustomed to and rehabilitating it to full health and self-esteem. Moreover, consider the dog’s medical history before adopting it. 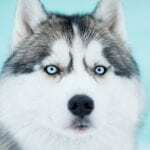 Has the dog gone through the necessary vaccinations to keep its immune strong? Is there a history of diseases the dog has been treated for before being given out for adoption? The last thing you want is a sickly dog that will run your finances over in medical expenses or, worse still, end up dead because of a disease you did not know of. On the other hand, you could get lucky and find a bashful Morkie poo that has no history of diseases or ill-treatment at all. Some dogs are surrendered to shelters because the owner couldn’t cope with the demands of raising a dog, or they are moving to a new area and could not bring their dog alone. 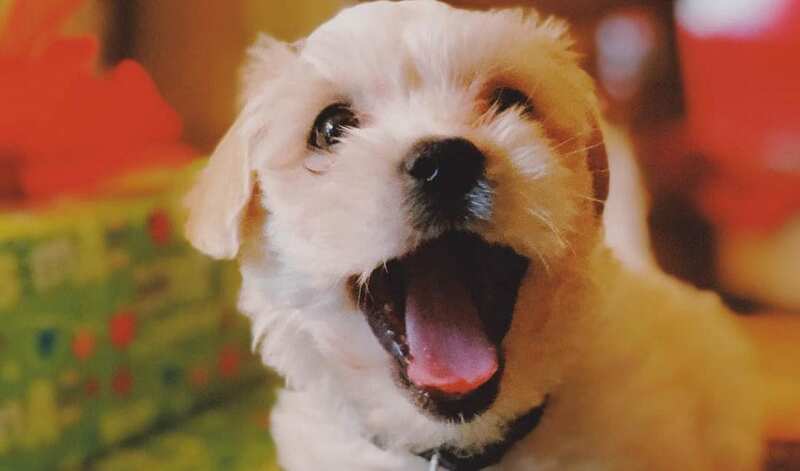 If you are lucky, you could bump into a Morkie that is still excited to be rehomed by its new owner. Check how the dogs are treated at the shelter as well. Some shelters are outright ruthless, and little to no attention is given to the animals they rescued. It is possible for a dog to have picked up an aggressive personality from the shelters. So only adopt from respectable shelters that have workers who genuinely care about animals. 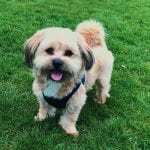 Morkie is a furry little dwarf with a personality that can outshine that of a Labrador. Mookie is one of the best family dogs you could ever own, so ensure you adopt home from a good shelter or breeder and you are prepared to meet all his lifetime needs.